Provide comfort for the family of Richard Horton with a meaningful gesture of sympathy. Richard “Rich” W. Horton 68 of Missoula passed away on Monday March, 25 2019 at his home. Rich was born on August 27, 1950 in Ephrata, WA to Russell and Genevieve Horton. The family moved to Missoula when Rich was age 5 and he was educated in Missoula public schools graduating from Hellgate High School in 1969. In 1971 Rich married Marcia Vick, from this union he was blessed with two children, Shawn in 1973 and Traci in 1975. In Rich’s twenty’s he started his banking and finance career. He worked for AVCO financial for 25 years. After AVCO he worked at 1st National Bank and finished his career with First Security Bank in August of 2018. Growing up Rich enjoyed music and was involved in Missoula Youth Choir. As his kids were growing up he was very involved with their activities, helping coach and volunteer with Mt. Sentinel Little League. He was very proud of his children and the accomplishments in their lives. Rich was very passionate about the Missoula community and being involved and giving back. He served on the Board of Directors for Camp Fire Kids. He was most proud of his involvement in the Algeria Shrine. He held many different offices within the Shrine; Missoula Motor Patrol, President Western Montana Shrine, member of the Divan and served as Potentate for Algeria Shrine in 2014. He always said his favorite position within the Shrine was Past Potentate. He is preceded in death by his parents, sisters; Betty and Madelyn and brother Victor Rich is survived by his daughter Traci (Randy) Jolliffe, granddaughter Baylee, son Shawn (Kyla) Horton, Brothers; John Cameron and Mike Horton both of Washington, and numerous friends, nieces and nephews. 2019 at Garden City Funeral Home. A reception will follow the service at the Eagles Lodge 2420 South Ave. West. In lieu of flowers, the family asks for donations in Rich’s name to the Spokane Shriner Hospital for Children. 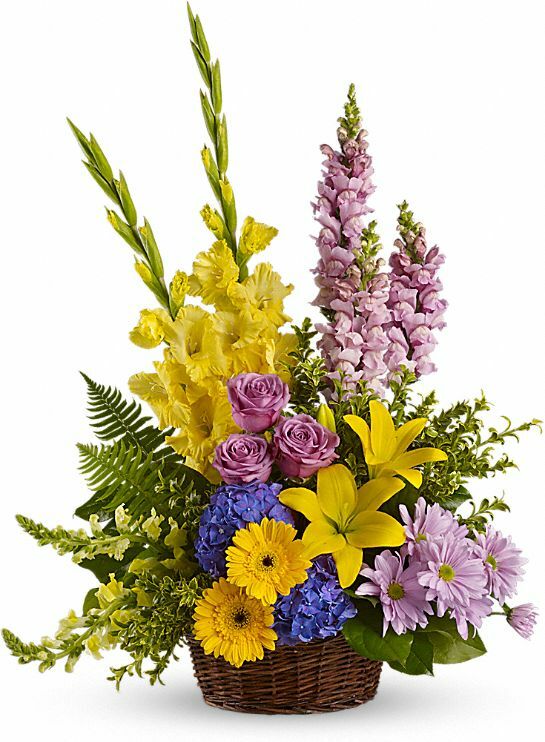 To send flowers in memory of Richard William "Rich" Horton, please visit our Heartfelt Sympathies Store. Diana Young and your AT&T teammates sent flowers to the family of Richard William "Rich" Horton. To the Horton family, my heartfelt condolences for your loss. Please find comfort in the knowledge that soon God will wipe out every tear from our eyes, and “death will be no more, neither will mourning nor outcry nor pain be anymore. The former things (will) have passed away.”(Rev. 21:3,4) May this promise give you comfort now and a real hope for the future. My deepest sympathies. Shawn - All of our thoughts and prayers are with you and your family. Diana Young and your AT&T teammates purchased the Love's Tapestry for the family of Richard Horton.